Like counting objects, measuring their mass belongs to the most elemental characterization processes mankind has performed for thousands of years, from coal bags to sophisticated agents used in the pharma industry, from beam balances to electromagnetic laboratory balances, and from micro to kilo amounts. Irrespective of evolving technologies and applications, all balances have so far had one feature in common: A tray that carries the object to be weighted and which is mechanically coupled to the rest of the balance. However, calling this seemingly inevitable feature into question opens a radically new perspective on age-old practices and prepares the stage for a change of paradigms: What, if the object to be weighed no longer has to come into contact with the balance itself? 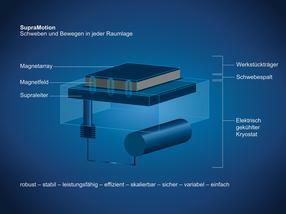 With its interdisciplinary SupraMotion project, Festo AG & Co.KG studies the potential and possibilities of superconducting (SC) levitation (suspending an object against gravity without any solid physical contact) for applications in automation, analytics, and process technology on an industrial level. 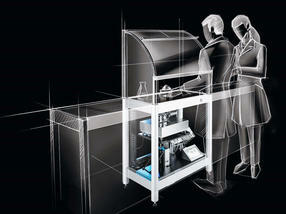 The central feature, contactless handling of objects, even through surfaces and stable in geometry and time in all six degrees-of-freedom, paves the way for completely new applications and heralds a change of paradigms – with immense implications for contamination-free work environments in the food, pharma, biotech, and life science industries. The promise: uncompromised clean design! Weighing is determining the mass of an object by measuring forces. Any object with a finite mass subjected to the earth´s gravitational field experiences a corresponding gravitational force, whose magnitude is referred to as weight. Usually, we determine its weight by using a balance composed of a passive part, for instance a tray that carries the object, and the active weighing unit providing a suitable counter-force opposite to the gravitational force, to establish an equilibrium. One might think of a simple spring elongated by an attached object. More generally however, this works with any suitable force according to Newton’s law of actio and reactio. What matters is that the counter force can be translated into a unique read-out signal proportional to the mass, so that the balance can be calibrated. Note that this reasoning at no time requires the gravitational force to be transmitted mechanically from tray to the weighing unit – and this is where SC levitation comes into play: A suitable magnetic field is created between tray and weighing unit such that both are mechanically decoupled and the gravitational force is translated via a magnetic channel from one component to the other. How’s that possible? Anyone who has ever tried to let a magnet levitate on top of another one knows that this is doomed to fail. This, however, is not due to poor skills, but rather to basic physics: According to Earnshaw’s theorem, there is no stable configuration of static magnetic fields where a magnet levitates with respect to others. A stable configuration would require a 3D minimum of the potential energy such that any perturbation causes a restoring force. With static fields however, there is always at least one spatial direction where no restoring force exists. As we know from experience, this is the direction in which the levitating magnet flips and ultimately crashes into the other. One cannot override Earnshaw’s theorem. But one can elegantly escape it by using so-called type-II SC. At a material-dependent critical temperature well below 0°C these compounds undergo a phase transition and experience a radical change of their physical properties. While the total loss of electrical resistance is arguably the most well-known and technically exploited feature of SC, the magnetic properties deserve attention as well. Just as in copper, temporarily varying magnetic fields induce currents in a SC, which, in turn, excite diamagnetic fields. While for copper these currents and fields decay quickly due to ohmic losses, the SC ones, once excited, may persist for a very long time with maximum intensity. In combination with the so-called pinning – a both complex and peculiar quantum mechanical effect, where the interior of a type-II SC tends to bundle an external magnetic field into flux tubes anchored to lattice defects – this unique magnetism allows to steadily levitate an ordinary magnet above a SC with air gaps up to, currently, 20 mm. Fig. 1 The tray carrying the object, whose mass is to be determined, as it levitates above the working surface while the rest of the weighing application is hidden below. 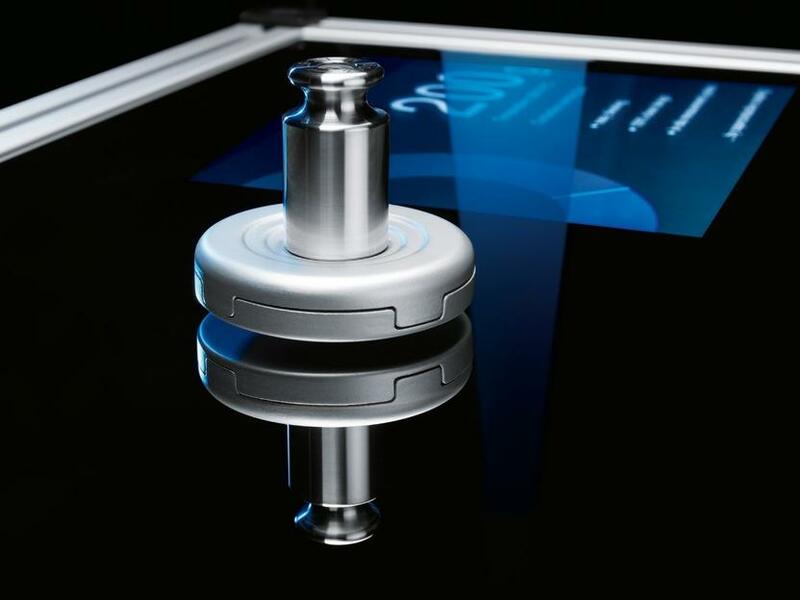 Festo’s “SupraSensor” – the prototype of a balance with a levitating tray – was presented to the public at various international fairs in early 2018 for the first time. 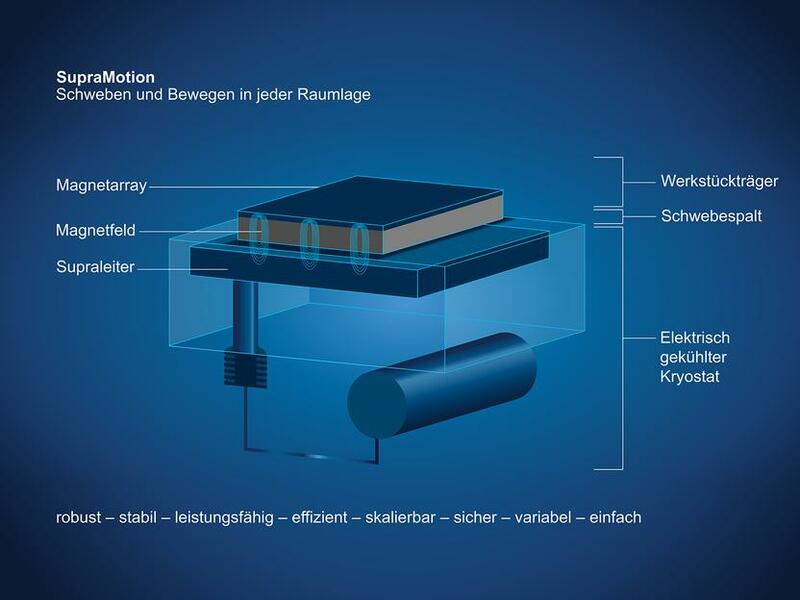 The key element is a tray providing a tailored static magnetic field which permeates through a closed surface beneath which it is coupled to YBCO bulks, i.e. the SC material of choice with a critical temperature of –181 °C for industrial applications (Fig. 1). To provide these low temperatures, the YBCO bulks are installed into a shoe-box sized cryostat, i.e. a thermally insulated ultra-high vacuum compartment supplemented with an electrical cooler. To measure the weight of an object placed on the magnetic tray, the cryostat stands on a Mettler-Toledo high-precision balance: The additional weight shifts the tray by fractions of a millimeter downwards, and thus compresses the magnetic spring and translates the information of the weight in a 1:1 correspondence from tray to cryostat and balance. In summary, the “SupraSensor” is a compact weighing application where the tray is the only component visible to the user while the other parts are hidden below the working bench’s surface. Depending on the requirements concerning environment, precision, and measuring range, the “SupraSensor” can be realized with almost any kind of balance. Consequently, it offers a huge potential for a plethora of applications where uncompromising clean design, process and work safety are mandatory. Leaving the tray as the only component in the working area, the “SupraSensor” drastically reduces the space occupied by the balances commonly used in, e.g., isolators in the pharma industry (Fig. 2). Fig. 2 The floating balance concept offers enormous potential for safety-relevant applications, for example in safety cabinets for biological or chemical analyses. critical interior but the easily accessible exterior. coupling so that the tray can be cleaned or replaced. in an ergonomic, practical, and space-saving fashion. In addition to weighing, the concept of the “SupraSensor” can be adapted to other force-based sensing applications. 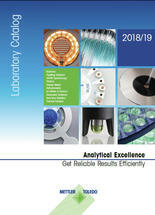 This includes contactless density and viscosity measurements or, in a more complex setting, in-situ monitoring of reactive chemical processes, thin-film deposition, or biologically active systems … and not only for the sterile work area of a laboratory, but also in the rough environment of fully-automated production lines or high-volume reactors in the biotech, chemical, food, and pharma industries. Superconducting levitation is a prime example of how rethinking paradigmatic technologies and practices in the face of modern solid-state physics, material sciences, and creative engineering may lead to disruptive new solutions to old problems, turning the previously impossible into the miraculously simple. Although YBCO belongs to the class of “high-temperature superconductors”, it still takes temperatures as low as –181 °C to turn it superconducting. In academia, cooling is commonly done by using liquid nitrogen which, however, in an industrial setting, is delicate to handle as it requires notable safety precautions, installations, and maintenance. A reasonable alternative are electrical cryocoolers working according to the Stirling cycle. Here, an alternating series of isothermal and isochoric processes create a helium gas filled cylinder with hot and cold ends. Stirling cryocoolers can be built in a compact and efficient fashion with a cooling power of several watts, sufficient to reach the operating temperature of –210 °C. More important for their cooling power, however, is the elaborate thermal insulation of the YBCO bulks from the environment by combining an ultra-high vacuum, infrared shielding, and materials with minimal heat conductance.